We get you through the storm! Click on our logo above to call us now using your mobile device. 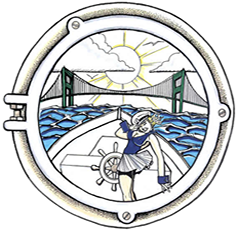 Located in San Pedro, California at the Port of Los Angeles, Sylvias Bail Bonds has been serving its customers since 1935. We believe in having expert Bail Agents on location to answer any questions you have on State and Federal Bonds 24 hours 7 days a week. Sylvia's is part of the nationwide Expert Bail Network which brings mom & pop shops together to post Bail anywhere in the nation. Sylvias Bail Bonds can post any bail bond, anywhere, anytime at any jail. I was a nervous wreck when I called Sylvia’s at 3:00 in the morning. They immediately sent a bondsman out to my house and explained the entire process and bailed my husband out. I will always be grateful to them for calming me down and helping me through a stressful time in my life. I called Sylvia’s Bail Bonds after I couldn’t get a bondsman in Santa Barbara to help me. I was amazed that a bondsman who was over two hours away was able to get my daughter released within an hour. They’re the best! I have referred my clients to Sylvia’s Bail Bonds for over 20 years because of their prompt service and professionalism. In my experience, no one knows the industry better. I have conducted business with your organization for over 30 years. You have always been prompt, helpful and considerate of my clients needs and I would recommend your services at any time. I have used Sylvia’s Bail Bonds for well over 15 years. You have always been courteous, reliable and a pleasure to work with. I recommend your company to all of my clients because I know you’re a reputable organization. "My office works exclusivley with Sylvia's. Sylvia's staff is courteous, knowledgeable, and works quickly. Very highly recommended"